Could Muscles for Charity help your Auction? Muscles for Charity never handle any money. Liability insurance cover is essential. 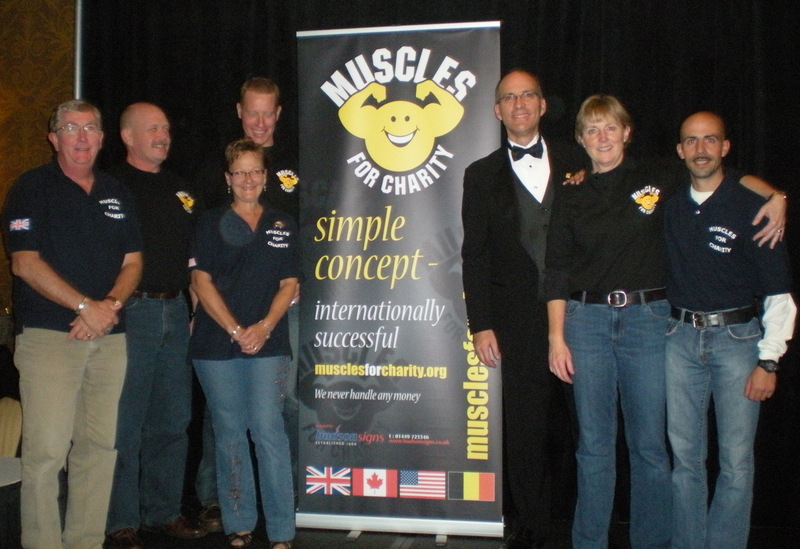 In the UK Muscles for Charity has independent liability cover for all team members. See the ‘About Muscles for Charity’ page for details of our current insurance policy. In the USA, Canada and Belgium the organisers of the originating event must undertake, in writing, to provide insurance cover for the team whilst they are working on the project. Muscles for Charity is committed to meeting expectations and a representative of the team will always visit the project site and discuss the proposed work at the earliest opportunity. In the event that Muscles for Charity are unable (for whatever reason) to meet the expectations the recipient, the organisers of the originating event will be responsible for agreeing (in writing prior to the event) to refunding the original donation in full. (Event organisers may wish to consider placing the amount generated by the successful bidder at the Auction in a separate fund until the project has been completed). The Muscles for Charity team will endeavour to complete the tasks agreed in writing with the recipient following the site meeting. Any additional tasks will only be completed on the understanding that it is agreed with the team members at the project. If you have any questions, comments or require assistance, please do not hesitate to e-mail the following on behalf of the Muscles for Charity (North America) team (Itsthebish@aol.com ) or Phil (bozpandm@gmail.com) for the UK team and Johan (johan.rens1@telenet.be) for Europe. Thank you for your interest in Muscles for Charity.